Anyone who works with Arduino for any length of time will become familiar with the FTDI USB to Serial bridges. These convert the USB interface found on all modern computers into a simple serial interface, required by many Arduino boards for their bootloader. There are many FTDI cables and boards available. A lot of Arduino boards have a built-in FTDI chip (the older ones with a USB port). Many vendors sell FTDI cables which have USB on one end and a pin header on the other (the chip is embedded in the USB connector). There are also a lot of breakout boards available. Signalling voltage – they are generally available in 5V or 3.3V signalling. It is possible to damage some 3.3V boards using 5V signalling. With the ATmega microcontrollers, you should never exceed 3.8V on any pin with Vcc at 3.3V, but it doesn’t seem to cause damage. Conversely, a ATmega running with Vcc at 5V will pick up 3.3V as logic high with no issues. If in doubt, go with the 3.3V cable. Power supply voltage (Vcc) – the normal FTDI pin out provides a power supply on one of the pins. Generally you get either 5V or 3.3V. The 5V versions often supply VUSB direct – so you can draw 500mA. Most of the 3.3V ones however use the pin 3V3OUT on the FTDI chip, which cannot supply more than 50mA (and the FTDI chip gets very hot when doing so!). This often isn’t enough to power a project. Again, a lot of boards don’t really care, but some ancillaries like radio chips will die if given 5V instead of 3.3V. The ATmega is a very forgiving chip. There’s one big thing to catch you out here. A lot of the 3.3V cables still provide 5V on the Vcc pin. I didn’t realise this until I frazzled a CC1110 board with 5V. So there are a lot of combinations of voltages available. Rather than have a four or more FTDI cables handy, I’ve found one particular board is versatile enough to use in all situations, with a bit of modification. The USB BUB II is available from Jeelabs and Modern Device. It’s a small board, and by default it has 3.3V signalling with a 5V power supply. With a few small changes, it can be a lot more versatile. It has a some good points that many other solutions don’t have. A small polyfuse protects your computer from over-current (although most machines seem fairly tolerant of this nowadays). It also has RX/TX lights, which are absent on many DIY and smaller boards. 1. There are two pairs of small solder bridges on the front of the board, one labelled VOUT and the other LGLV. Use solder braid to remove solder from whichever combination is currently soldered. 2. Solder a pair of 3-pin headers into the space next to VOUT and LGLV. This allows you to chose between 5V from USB or 3.3V from 3v3OUT using jumpers. 3. Turn the board over and cut the 3v3_OUT trace using a scalpel. Bridge the VR_OUT pads using solder. 4. Finally, solder on a 3.3V regulator on the back of the board. Modern Devices suggest a MCP1703 which can provide 250mA. I used a MCP1825 which can provide 500mA as it was what I had lying around. Now you have a FTDI board which will work for all of your 5V and 3.3V boards, as well as being able to provide power for most small projects. Whilst writing up some of the forthcoming posts on the alarm system, I found myself trying to write a simple method of setting, clearing, and getting bits in a byte buffer. I wanted this to be as transparent as possible so that the code was easy to understand. The AVR microcontrollers are 8-bit. This means that registers, memory, and addresses are all 8-bits wide. It surprises many Arduino users when they find out that the type “boolean” is simply an entire unsigned, 8-bit integer (uint8_t). Boolean is just not a native concept to C and embedded systems. It’s incredibly wasteful to use a whole 8 bits to represent a single boolean value. This isn’t to say that you don’t need to set individual bits in a byte though – this is actually a very common operation. Normally to do this, you use a couple of simple constructs. This means “Shift 0b00000001 along 5 to 0b00010000, and perform a logical OR with whatever is in the register already”. This has the effect of setting bit 5 to 1, and leaving all the other bits as are. This means “Shift 0b00000001 along 4 to 0b00001000, invert it to 0b11110111, and perform a logical AND with whatever is in the register already”. This has the effect of clearing bit 4, and leaving all the other bits as are. The above is all fine if you just want to look at a single bit in a byte. What happens if I want to deal with more than 8-bits? I need more bytes! Which just means “create an array of 32 unsigned 8-bit integers”. Now I have an easy way of accessing any bit in an array of bytes. The problem comes if I decide I want to set the bit 27 in the array. How do I work out which byte this is in? This is just some simple maths. To work out the byte, integer divide 27 by 8 – we get 3. This means it will be in the 4th byte i.e. array_of_bytes; // indexing starts at 0! Then take the remainder of 27 by 8 (the modulus) – we get 3 again. We need to set the 4th bit. So now we have a method to set an individual bit in an array of bytes. Rather than remember all of this maths and shifting each time I want to set a bit, why not use a macro? This is just want we have said above. % is the modulus operator in C. This looks very clean and efficient. There is no hardware division unit on the microcontroller – division is expensive! There is only a single bit shift in either direction. Shifts of more than one need to be made up of multiple single bit shifts. We can take this further though… modulus 8 is the same as only keeping the first 3 bits of a number i.e. masking. And get exactly the same result as before. It turns out avrgcc is clever enough to spot that the divide by 8 and modulus 8 can be implemented by simple shifts and masks. What is the moral of this story? Generally these days you will not make many gains in micro-optimisation. The compiler handles all of this, and normally much better than you can. Think about the big picture to make gains! This one has come up a lot recently on the Arduino subreddit and Electronics stackexchange – can I power my Arduino with a 9V battery? The quick answer is yes, you can. The long answer is yes, but only if your goal is to chose the most expensive and short lived batteries possible. I think the boards and documentation should have an explicit warning about 9V PP3s for this reason! The first problem is how to reduce that 9V to 5V that the Arduino board can use. Most Arduino boards have an external voltage input, and a range of 7-12V is recommended. So 9V seems perfect. The problem is that most Arduino boards use a linear regulator to drop that 9V to 5V. If you are drawing a mere 50mA, 0.2W is being burnt in this linear regulator with 0.25W being used by the Arduno itself. This is very inefficient! To solve this, either another battery should be used, or a switch-mode regulator used – these are much, much more efficient. Even worse is if you try to draw large currents – say 250mA – from the 9V source. The regulator needs to now burn 1W of power. It will fry in no time! An alkaline 9V PP3 has a capacity of between 500 and 600mAh. This really isn’t very high – a typical alkaline AA battery will be at least 2000mAh. 6 series AA cells will provide the same voltage, but a capacity at least 4 times the size! This gets even worse if you look at rechargeable 9V batteries. A typical 9V PP3 NiMH battery has a capacity of less than 200mAh. This is so low it is hardly worth bothering with. No matter how efficient the regulation is, these batteries are not going to last very long. First thing first, you need to ditch that linear regulator. It is meant to regulate external voltages when power loss is not an issue. Use one of the modern switching regulators like the LTC3525 – this can take an input voltage of between 1.0V and 5.5V and convert it to 3.3V or 5V as required. Bypass the linear regulator on the board. Couple this new regulator with high capacity AA batteries. The LTC3525 is so versatile it can take one, two or three batteries and drain the last drop out of them. 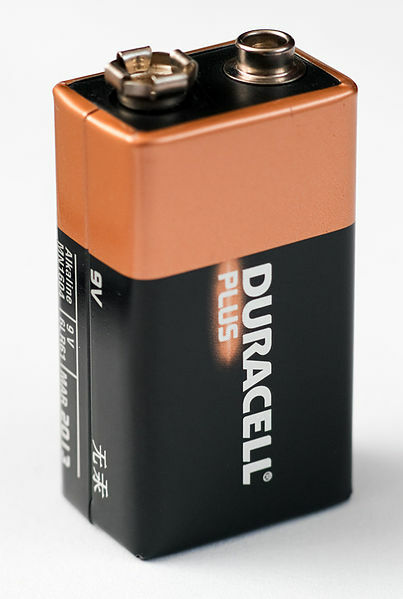 AA batteries are common, cheap, and high capacity. There are excellent rechargeable batteries available as well. Please stop using the 9V PP3s! On the ATmega328P and most other Atmel microcontrollers, code is stored and executed in flash memory. Every time you “upload a sketch”, you are communicating with a small piece of code called the bootloader, which then programs the flash with your code. Flash has a finite number of program/erase cycles – you can only write to it a certain number of times before bits will either be programmed incorrectly or become stuck at 1 or 0. With an ATmega328P, this will render the device unusable unless you invest a lot of time fiddling with the toolchain. Now and then, someone will either ask “Will I wear out the chip?” or someone will admonish a newbie for so frequently programming the chip. The reality of it is you are highly unlikely to wear out the flash memory on an Arduino. Atmel spec 10,000 cycles. I don’t know the maths behind it, but it means they are highly confident a large proportion of chips will reach this level. If we put that in real terms – if you are a hugely dedicated hobbyist who spends 2 hours each weekday and 8 hours over the weekend on their Arduino, flashing it once every 5 minutes, you will get almost a year of use before the chip could fail. For a much more reasonable use case of about 8 hours per week, flashing it every 15 minutes, you get 6 years of use. For the <£5 that the chip costs, this seems entirely reasonable to me. Further to this – take into consideration that 10,000 cycles is almost guaranteed. Many will get far higher than this. Dangerous Prototypes have a project called the “Flash Destroyer“, which has the sole purpose of performing program/erase cycles on EEPROM to see how far it will go. A 1,000,000 cycle EEPROM got to 11,500,000 cycles before failure. So that one year could become 10, and the 6 years become 60. People build their projects, then want to battery power them. Their solution is to use a large battery (e.g. a 12V lead acid), connected to the Arduino external power input. The battery lasts mere days, and they become frustrated and move on to processors perceived as low power, like the MSP430 and ARM Cortex M0 series. What if I said you could run a ATmega328P, RF transceiver and sensors from AA batteries for months at a time? A lot of people just won’t believe it, thinking the ATmega328P is a dated, power hungry chip that needs an ugly wall wart for power. So why are people struggling with battery power? 1. The standard Arduino board accepts an external power input of between 7-12V, which then passes through a delightfully named NCP1117ST50T3G low dropout linear regulator to get it down to 5V for the rest of the board. If you are using a 12V battery via this regulator, and drawing a measly 50mA, you end up burning 0.35W of power in the regulator and the Arduino only using 0.25W! That linear regulator is an evil thing. 2. Most Arduino boards run at 5V. The ATmega328P runs fine at 3.3V and even down to 1.8V. At 3.3V, the chip uses ~40% of the power, and at 1.8V, it uses ~10%. Massive gains! 1.8V can make interfacing to other systems a bit awkward, but 3.3V is generally fine. 3. Most Arduino boards run at 16MHz by default, but a lot of the time you don’t need to run that quickly. By dropping to use the 1MHz internal oscillator, you reduce the power consumption 8 times. If you go further, you can use 128kHz oscillator and the power consumption drops 70 times! 4. A lot of Arduino code uses delays() and never sleeps. The ATmega328P has a sleep mode which can easily use less than 10µA – if you use an external 32.768kHz watch crystal, you can get this down to fractions of a µA. Learn about these and use them. Where do you find out all of this info? It’s at the end of the ATmega328P datasheet. You can workaround all of these – I thoroughly recommend reading JC Wippler’s posts on Jeelabs in his quest to reduce power consumption on Arduino-like board. For the second post about Arduino misconceptions, there is the a common idea circulating that the Arduino is “slow”. Most frequently I hear this in the context of reacting to user input, dealing with multiple sensors, using LED or LCD displays, or acting as part of a control loop. People advise faster microcontrollers such as the ARM Cortex series. The ATmega328P on the Arduino boards runs at 16MHz – that’s 16 million cycles per second. The ATmega328P instructions take between 1 and 3 clock cycles (with the exception of the subroutine related instructions which take 4 or 5). The average is somewhere between 1 and 2 for most compiled C code. We can then infer than the ATmega328P can carry out at least 8 million instructions per second! It’s hard to directly translate these instructions to lines of C code. What looks simple in C can take tens of instructions, and what looks complex can be done in one. We can still say that the ATmega328P is going to tear through your code at a rate of knots, far faster than most people imagine. It is 16MHz, and most people’s PCs and phones operate in the 1GHz range, so it doesn’t sound like much. The ATmega328P is performing entirely different tasks though. The frequent use of delay() in Arduino code. Delay() causes the processor to just churn – it can’t do anything else whilst it is running. So if you have 4 buttons which are meant to turn on 4 respective LEDs for 2s, the system becomes unresponsive if you use delay() for the 2s. The frequent use of Serial.print() in most code for debugging or status reports. Arduino pre-1.0 uses to block when sending data out using the serial port. That meant an 80 character string output at 9600bps (the default, for some reason), would take over 80ms, during which time the processor could do nothing else! Even now that it uses interrupts, strings still take a long time to output. Slow digitalRead and digitalWrite – these two functions are orders of magnitude (~60 cycles) slower than direct port access (~1 cycle!). Heavy I/O can look slow or latent as a result. Bad code – the Arduino is exceptionally easy to use without understanding any of the underlying concepts of microcontrollers. As a result, code is sometimes simply bad. A faster microncontroller can mask some of these issues, but without understanding some key concepts (interrupt handling and well structured state machines), you are going to be up against the same wall again in no time. That’s not to say that faster microcontrollers aren’t needed sometimes – anything with heavy number crunching needs something more – but for a lot of situations an Arduino is more than capable in the hands of a good developer. One of the first things you need to learn when interfacing switches to microcontrollers is the use of pull-up resistors. These ensure that the inputs to the microcontroller settle in either logic high or low when the switch is not made. They are fundamental, so fundamental that Atmel decided to build-in weak pull-up resistors into the ATmega328P used in the Arduino! Yet a lot of tutorials show external pull-up resistors being used with switches. There’s not really a problem with this – just that it is not required 99% of the time. It might be good to teach the concept, but I regularly see posts on forums where people have connected pull-ups incorrectly, causing them problems. I’ve even seen people confident enough to design a PCB, but have multiple external pull-ups for interfacing to a keypad! You need a strong rather than weak pull-up – sometimes devices draw power from the pull-up, and the 20kOhm internal pull-up is too large. So, simplify your circuits and remember this feature!